After their successful recent workshop, Sierra Leone’s SRI initiative has now been profiled on the World Bank’s website, bringing attention to Sierra Leone and SRI around the world. 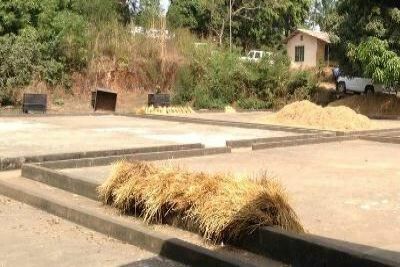 The story highlighted the positive initial impacts of the SRI project on yields and labor savings in Sierra Leone, and also discussed the reemergence of the Sierra Leone Agricultural Research Institute (SLARI), which before being abandoned in the 11-year civil war had been a Center of Excellence for rice research in the region. For more information about SRI in Sierra Leone visit our country page. This entry was posted in Sierra Leone and tagged SLARI, World Bank on 20/06/2014 by sriwestafrica.